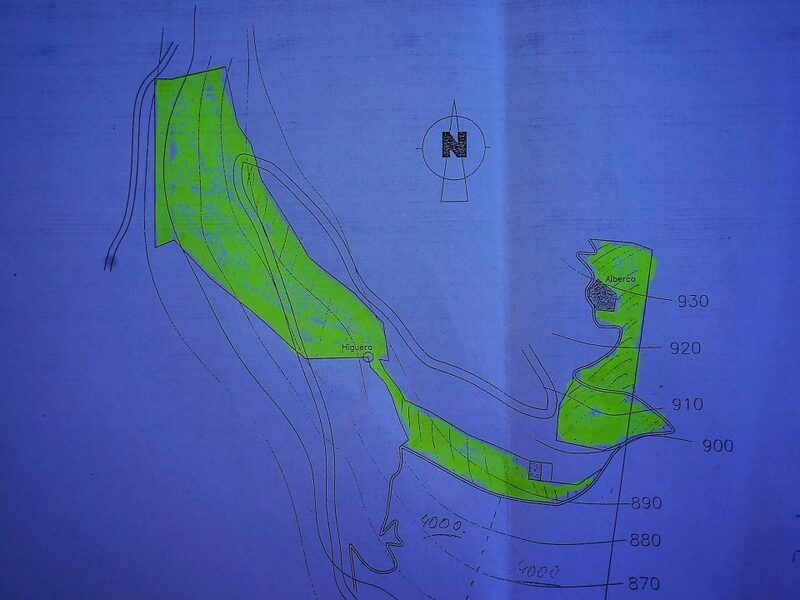 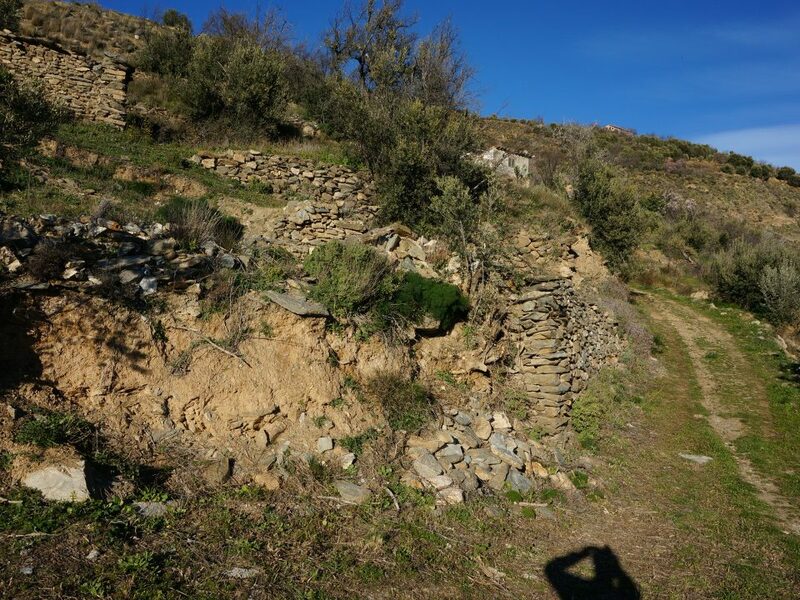 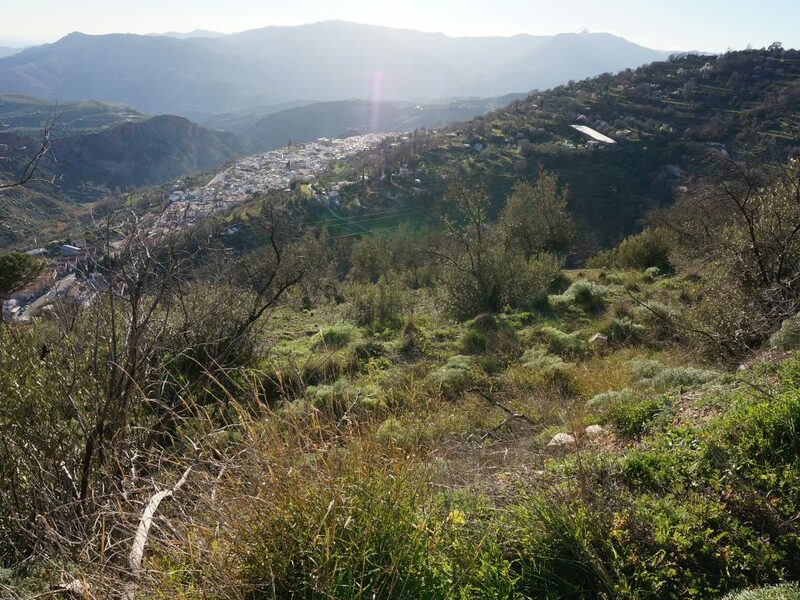 lanjaron alpujarras plot of land - HomesEspana Orgiva Property Real Estate Agent Inmobiliaria Since 2003 UA-39695354-1 HomesEspana Orgiva Real Estate Agent Inmobiliaria In Orgiva and lanjaron for Properties In The Alpujarras-Granada-Andalucia-Spain. 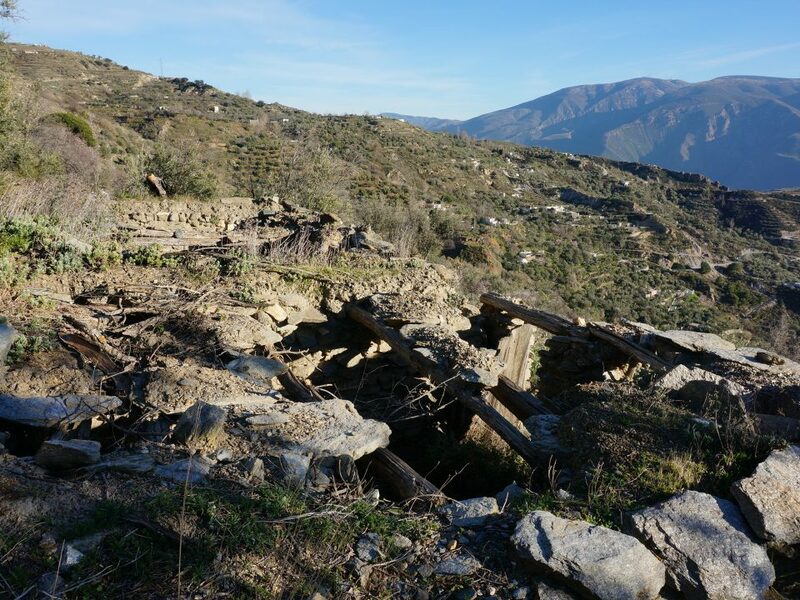 A large plot of land, south facing with wonderful views, with a 50 m2 ruin to restore. 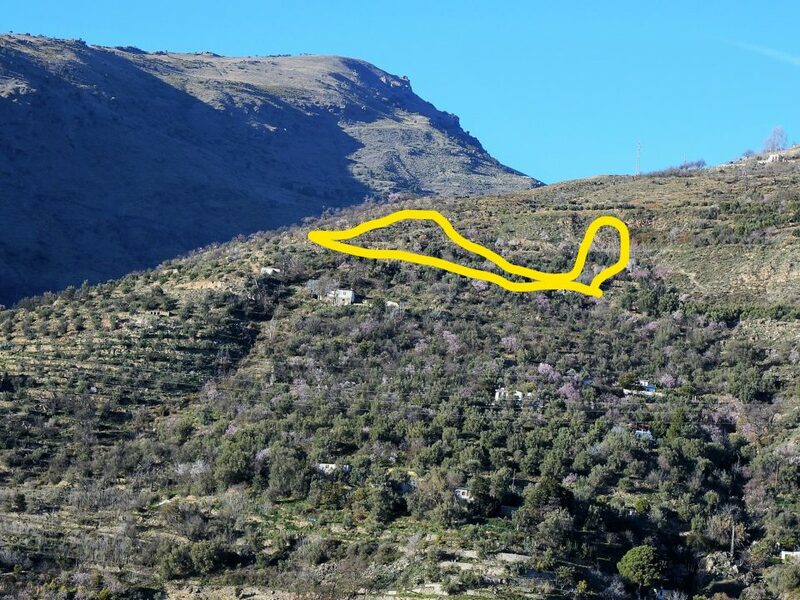 The land is reached by 3 km of track from Lanjarón, and is located at an altitude of 900m. 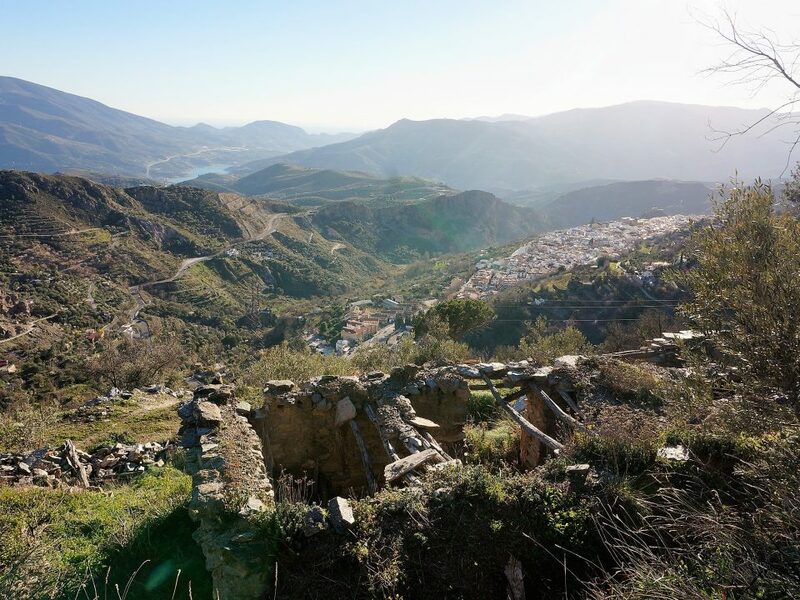 Its area is 11,000 m2 and it consists of terraced hillside land, with four terraces with olive trees. 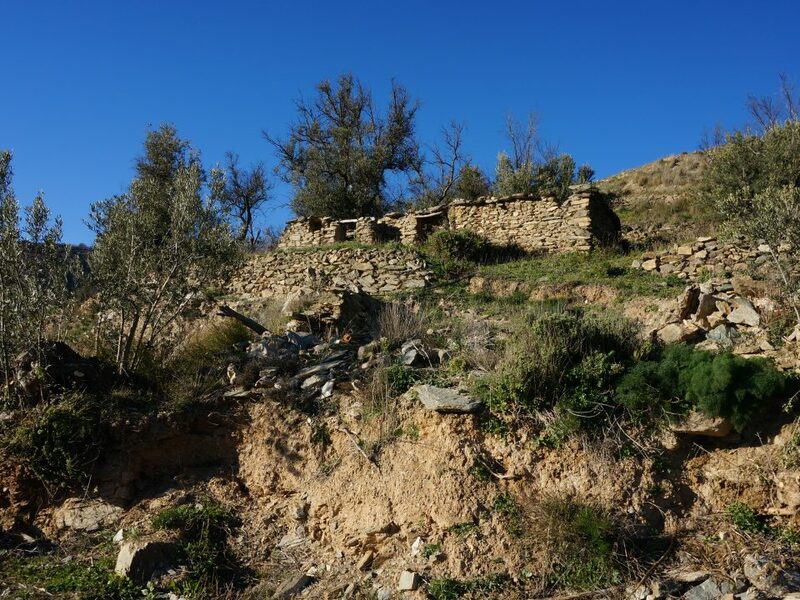 There is at the top of the land a water deposit, shared with neighbours, which supplies abundant water from the rio Lanjarón. 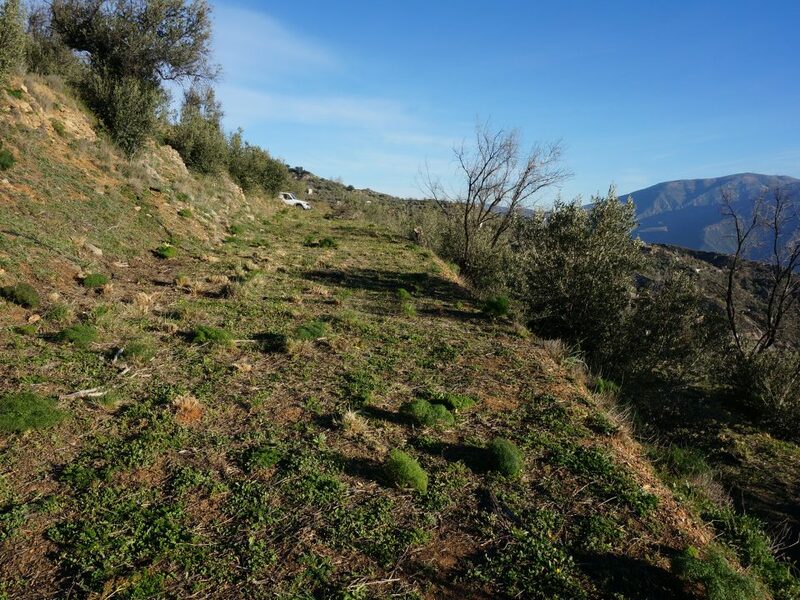 On the land is a 50 m2 ruined cortijo, for which an architect's project has been prepared for the construction of an equal sized one bedroom dwelling (see plan in photos). 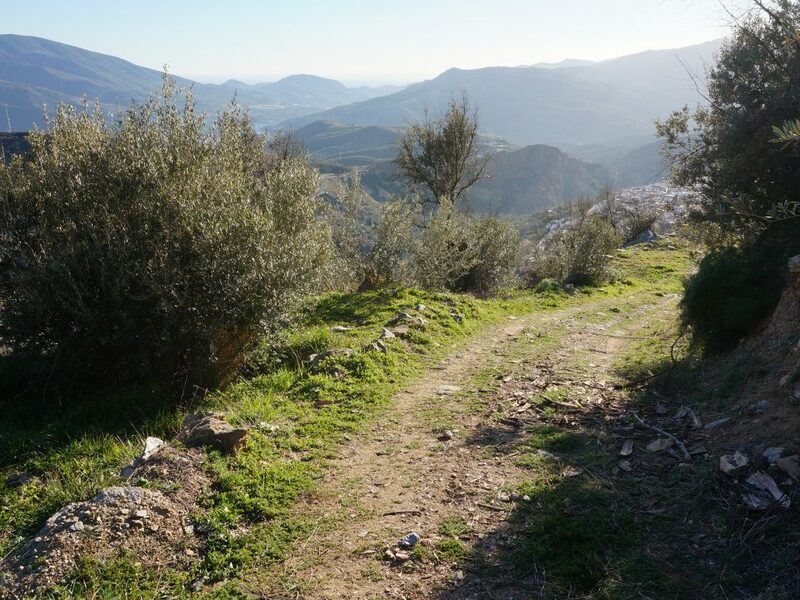 There are wonderful views to the south with the Mediterranean (and on clear days the Rif mountains of Morocco) visible. 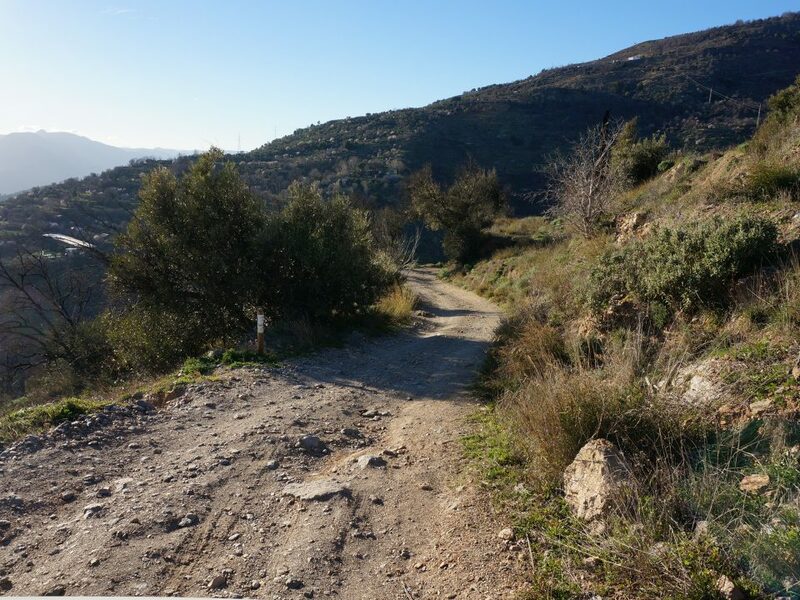 Apart from the track access there is a mule track that goes down to the town, part of which forms a GR hiker's trail. 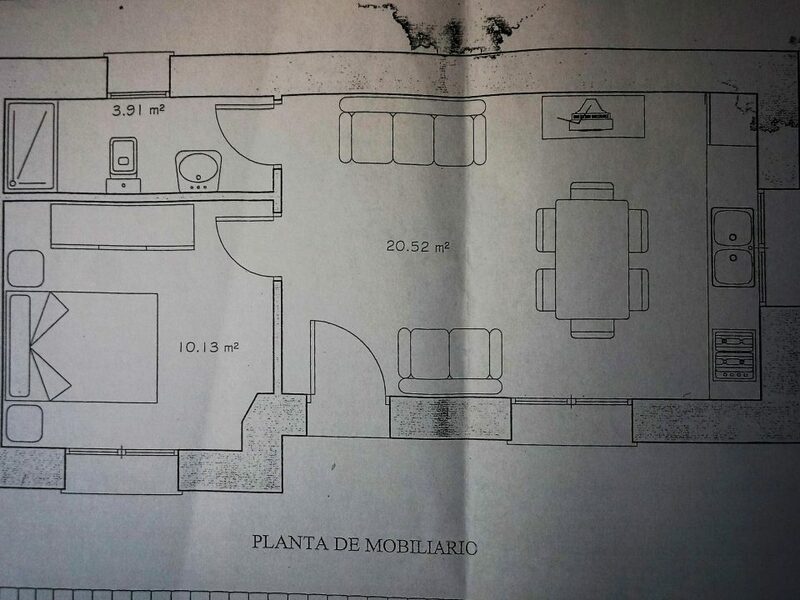 This finca would make a wonderful holiday home for someone prepared to take on the project.